A few months ago my mom pulled out an old box from the attic. It had all my dance recital outfits from when I was a kid. Mackenzie tried them on and thought they were the coolest thing ever. She especially loved a blue and gold one I had. 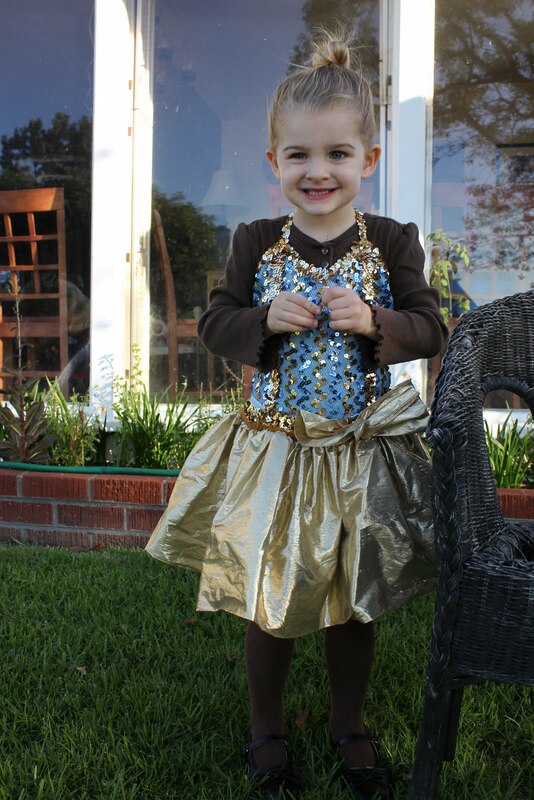 Ever since she tried it she has insisted on being a "ballet girl" for Halloween. It's totally 80's but Mackenzie loved it. She would wear it everyday and sleep in it if I let her. 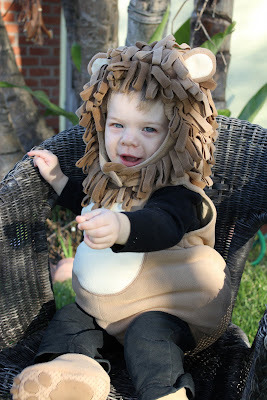 And Wesley was an adorable little lion. Very fitting for our little man who walks around the house "Roaring" all day long. 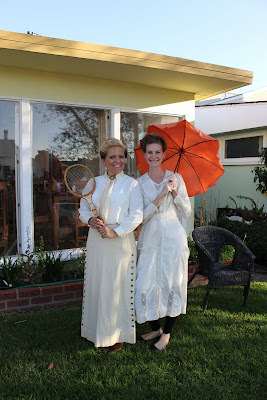 My friend Cyndi and I went as ladies form the 1900's. The dress I am wearing is a real dress from the turn of the century. 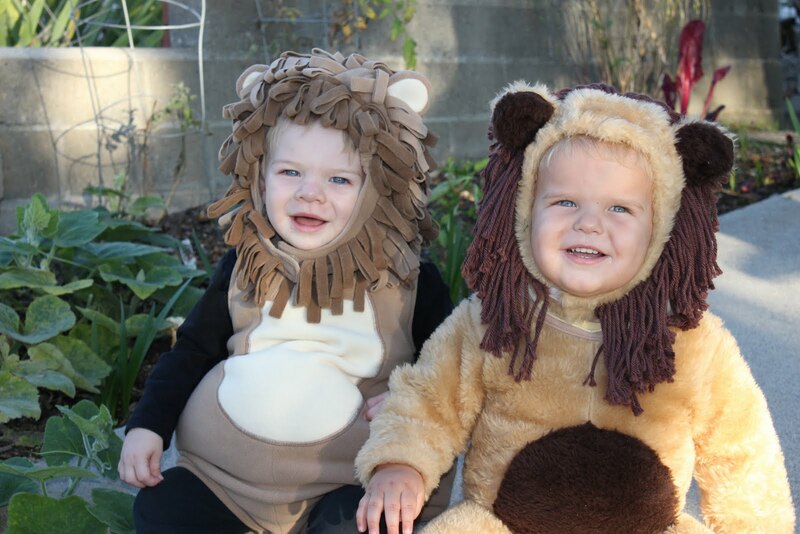 Wesley's buddy Judah was also a lion. 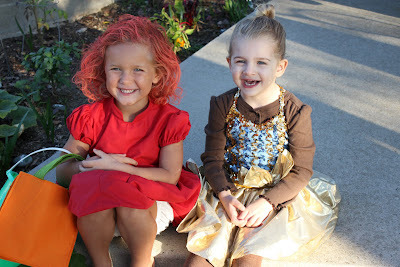 And Mackenzie's good friend Emmy was Ponyo. 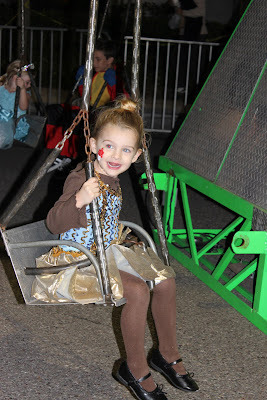 Her mom Cyndi made that cute dress and bloomers. 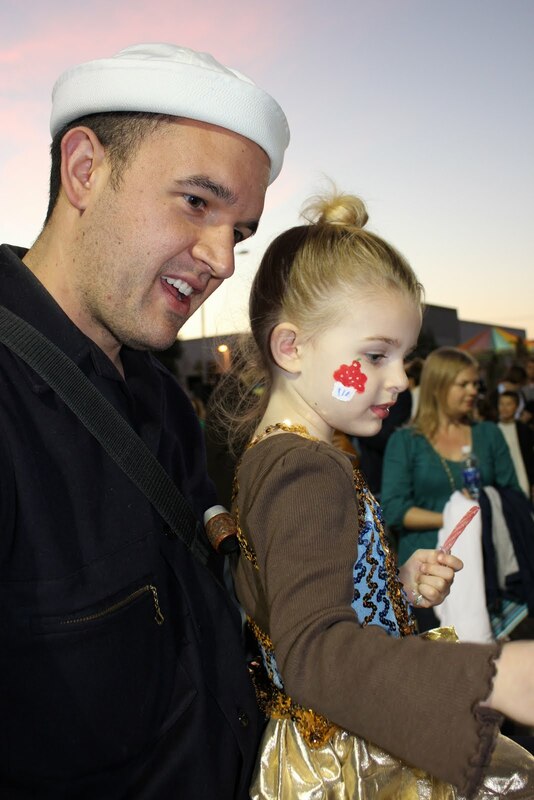 And Aaron dressed up as a sailor. So handsome...even with that silly face. 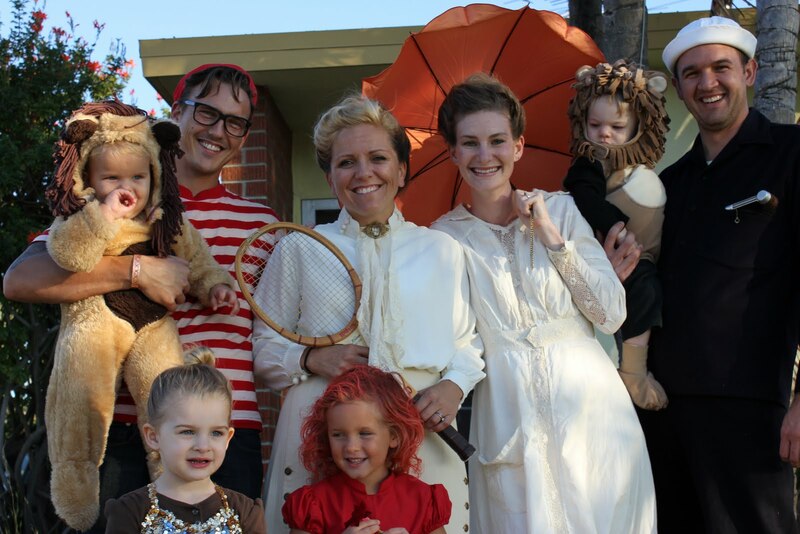 Can you find Cyndi's husband? Halloween night we went to an awesome Harvest Festival art our church. 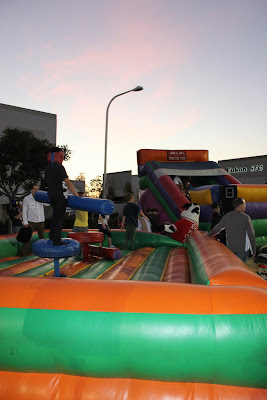 They had tons of fun games and rides for the kids. And of course TONS of candy. 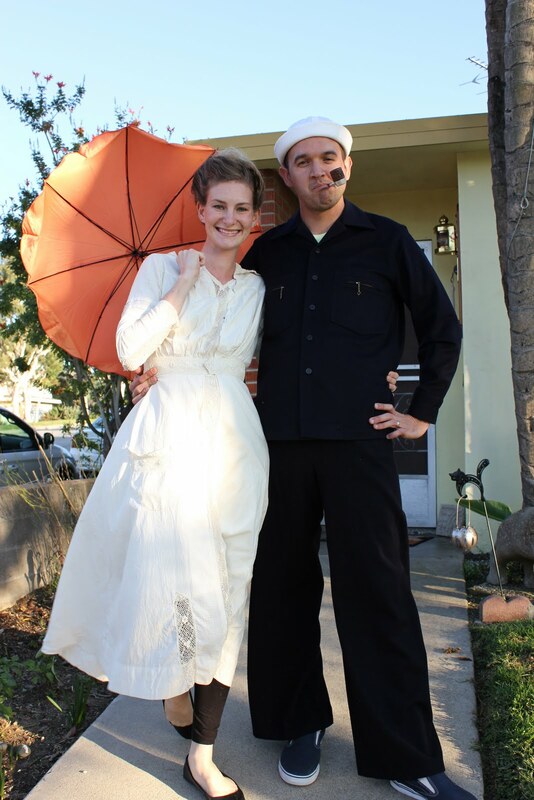 Hope you guys had a great Halloween too! Great costumes! 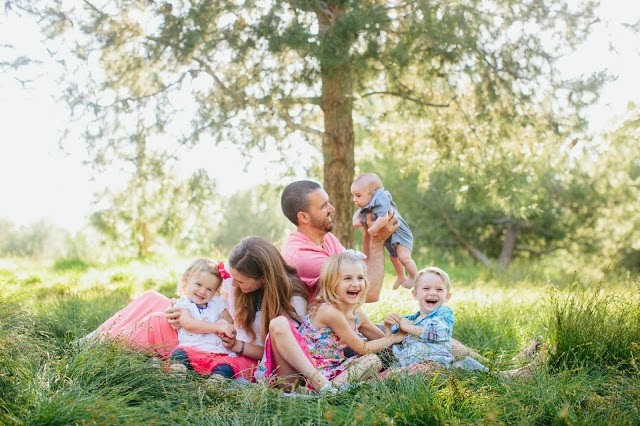 Your family is so cute! Everyone looks fantastic and it seems it was a blast!